Prof. Dr. Christian J. Meier-Schatz studied law at the University of Bern and the University of California (Berkeley, California). In 1979, he completed his Doctorate at the University of Bern with a thesis entitled “Selective distribution in the EEC Antitrust”. Thereafter, he was admitted to the Bar and went on to work as an attorney. 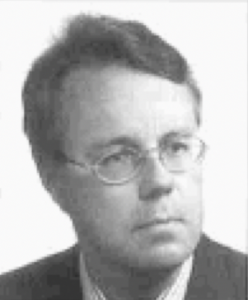 In 1989, he completed his Habilitation on “Business Law and Corporate Disclosure” at the University of Zürich. In 1990, he became a Professor Ordinarius at the Univeristy of St. Gallen. His main areas of practice were European business law, International business law, Private law and Commercial law. Das neue Fusionsgesetz, Zurich 1989. Das neue Fusionsgesetz, Zurich 2000. Kommentar zum Bundesgesetz über die Börsen und den Effektenhandel (co-authored by, G. Hertig, R. Roth, P. Roth, D. Zobl), Zürich 2000. Die GmbH und ihre Reform – Perspektiven aus der Praxis (co-authored by P. Forstmoser, L. Handschin, H. Wohlmann, J. Schwarz), Zurich 2000. Die Auswirkungen eines EU-Beitritts auf den Finanzplatz Schweiz (co-authored by P. Nobel, R. Waldburger), Zurich 2001.